Despite your daily brushing and flossing and our preventive care during your regularly scheduled checkups, a cavity can happen. Fortunately, the filling material that is used today is far superior to what dentists had available in years past. 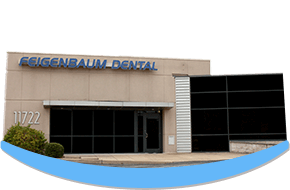 Today, the Creve Coeur dentists use composite resin material to provide patients with tooth-colored fillings. These not only have a more aesthetically pleasing appearance in your mouth, they are also healthier for you than old metal fillings. How far back in time do you think you'd have to travel to find evidence of the first dental filling? The answer might surprise you: 9,000 years! Archaeologists discovered human remains in Pakistan with remnants of molars that have some sort of filling material. And if you only want to go back 6,500 years, then there were remains with fillings made of beeswax found in Italy. It wasn't until the nineteenth century, that fillings became more like what we know today. Dentists began using metals like softened tin, gold and silver in fillings. Later in the century, mercury was added to a mixture of these metals to make them more malleable and stronger. However, researchers soon discovered the health threats that mercury posed so the use of amalgam fillings came into question. Today, our dentists have an alternative to amalgam fillings that is more attractive and just as strong and durable. Tooth-colored fillings are made of composite resin materials, which is a biocompatible blend of medical-grade plastic and glass. Whether you have a cavity in one of your front teeth or in the deep groove of a molar, a tooth colored filling is appropriate. In a front tooth, this type of filling blends in seamlessly with the color of your other teeth as it is available in many shades. While in a molar, the composite resin can withstand the pressure of biting and chewing. Aside from the obvious color advantage, composite fillings boast other advantages, as well. First, composite resin bonds with your tooth. This is actually a chemical reaction that cannot happen with an amalgam filling. Metal and amalgam fillings merely rested within the space that your restorative dentist in Creve Coeur would clear away. Eventually, these types of fillings often led to cracked teeth, further tooth decay and seepage between the edges of the filling and the remaining tooth structure. And unlike metal fillings that can be affected by the temperatures of foods and beverages, tooth colored fillings do not conduct hot or cold.